If you happen to be in Bucharest the next weekend, I would suggest some winter getaways. Of course those activities need getting out of the house and maybe the almost fallen snow will make you stay indoors. But if you decide getting out, I have some fun ideas. First, you should definitely try to visit the fairs at MTR(The Peasant's Museum). It is a must feel experience and I am telling you from my own. Visiting the fair this time of year has become a tradition in our family, and I enjoy it very much. You can find traditional handmade objects, traditional food and drinks and a traditional atmosphere. So, enjoy it with all it's boiled tuica scent! Well, I know this fair is one week apart, but I felt to tell you about it. 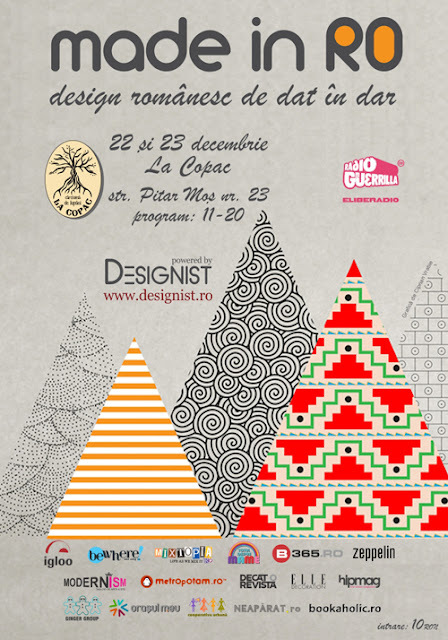 Lately, there have been lots of expositions on Romanian genuine design, which I like very much. 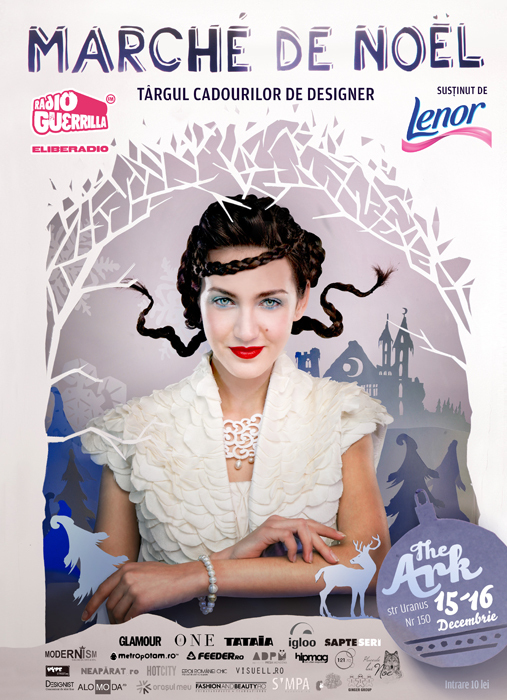 At last, the Romanian designer is being taken in serious and promoted! So, if you want to make a special designer gift to the ones you love, feel free to visit it. And talking about designers, Romanian designers, please check in at The Ark, this time happening this weekend, and visit Marche de Noel. And maybe invest some money on good Romanian designers proposals. I sure will be there.Between 10-20.